When your dog comes in for a wet kiss on your face, do you allow it? Many pet parents do. But should you? Although pets benefit our health in several ways, they also have the ability to make us sick. Here are 10 common diseases people can catch from dogs and cats. Dogs and cats often carry intestinal parasites, including roundworms and hookworms. These parasites are more common in young puppies and kittens, as well as animals who spend a lot of time outside. Worm eggs and larvae pass through an animal’s feces, according to the UC Davis School of Veterinary Medicine. So it’s important to practice good hygiene when picking up after your pet or even petting an animal who might have worms. Plus, it’s ideal to have any new pet or one exhibiting symptoms tested for parasites and dewormed as soon as possible. Ringworm is a misnomer, as it’s actually a fungal infection and not a parasite. “It’s highly contagious and can be passed among dogs, cats, horses, other animals and humans,” according to UC Davis. “You can also contract it from surfaces that an infected pet or person has touched, especially if you’ve been sweating a lot or have a minor skin abrasion.” The rash varies in appearance, sometimes forming the characteristic ring shape for which the disease is named. If you or your pet has been diagnosed with ringworm, it’s critical to thoroughly clean everything that might be contaminated to prevent it from spreading. Cat scratches can be painful enough, but they’re much worse when accompanied by the bacterium Bartonella henselae. “This bacterial infection is usually transmitted from cat to human via scratches, although it can also be transmitted via bite wounds and when a cat licks the open wounds of a person,” according to the Cornell College of Veterinary Medicine. Roughly 40 percent of cats carry Bartonella henselae, though many show no symptoms. They most commonly acquire it through flea bites. 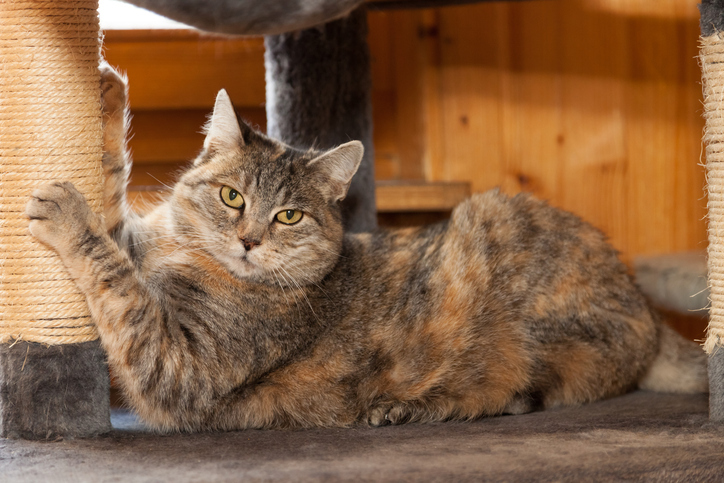 Thus, keeping cats indoors helps to reduce your risk of cat-scratch disease, along with monitoring a cat’s behavior to avoid bites and scratches and washing your hands after playing with a cat. Both cats and dogs can spread the parasite giardia through their feces. And people commonly catch it through food and water that’s been contaminated, according to PetMD. In fact, “giardiasis is the most frequent cause of nonbacterial diarrhea in North America,” according to the Oregon Veterinary Medical Association. The symptoms can last one to two weeks and respond well to treatment. Most cat owners likely know about toxoplasmosis — a parasitic disease cats can transmit through their feces. Cats who are allowed outside acquire the parasite from eating infected wildlife, and the parasite can survive for months in the environment, according to Cornell. Furthermore, infected cats don’t typically show symptoms, so you might not know you’re at risk. Thus, it’s always important to practice good hygiene when cleaning the litter box or working in a potentially contaminated environment, such as your garden. Leptospirosis is a potentially serious bacterial infection that’s transmitted through water or urine. Dogs can pick it up from their environments by drinking contaminated water or coming into contact with an infected animal. “Symptoms in dogs include fever, vomiting, abdominal pain, diarrhea, refusal to eat, severe weakness and depression, renal disease, and liver dysfunction,” according to the Oregon Veterinary Medical Association. Luckily, a vaccine for dogs exists to protect them — and you — against the most common strains of the bacteria. Pasteurella are bacteria commonly found in the upper respiratory tract of cats and dogs. “Pasteurella infection can be transmitted to humans by direct and indirect contact such as dog or cat bites or licks and even cat scratches,” according to the Journal of Medicine and Life. It typically presents as a local skin infection and clears up with antibiotics. But the bacteria can travel through the bloodstream and cause serious complications, including infection of the heart valves, Cornell says. You might already know that reptiles and amphibians frequently carry salmonella. But dogs and cats also can be hosts and pass it to us through their feces. 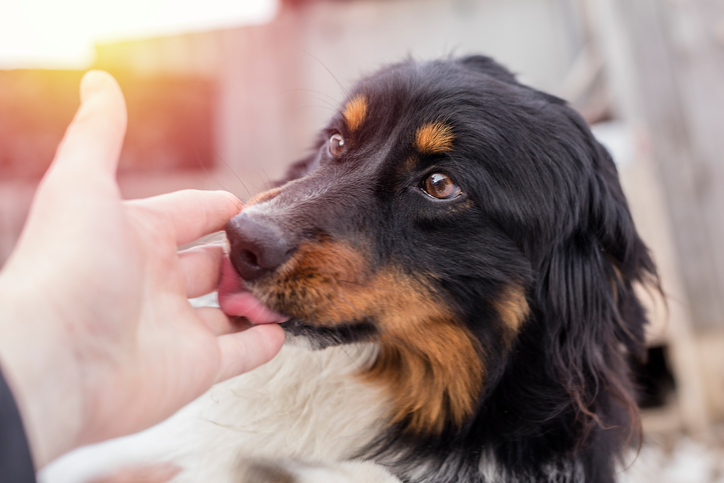 Dogs and cats acquire salmonella from their environments and diets, especially if they eat raw meat, according to Cornell. 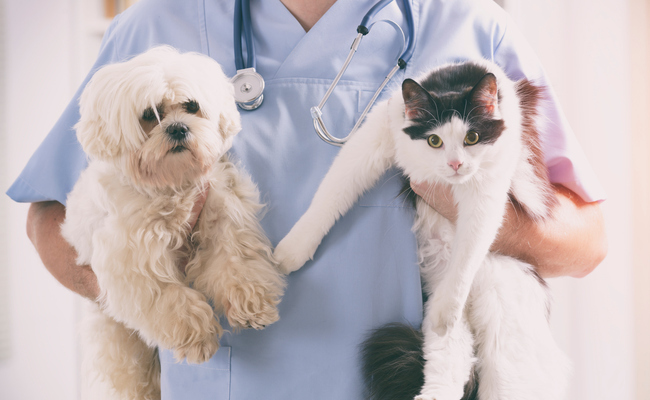 Fortunately, most healthy pets and people are able to recover from an infection on their own, but some might require medical attention if the symptoms are severe. Scabies, or sarcoptic mange, is a common skin disease in dogs (and less frequently in cats) that’s caused by mites. Dogs typically acquire it from exposure to another infected animal, according to PetMD. The highly contagious mites burrow under the skin, causing itching and irritation. Treatment may take weeks for both pets and humans alike, but fortunately a healthy immune system goes a long way in ridding the body of the parasites. The deadly rabies virus kills roughly 59,000 people worldwide per year, according to the American Veterinary Medical Association. The virus is transmitted through the saliva of an infected animal, typically via a bite. And once the visible signs of the disease appear, it’s usually fatal. Only mammals get rabies. In the United States, the most common wildlife to carry the virus are skunks, raccoons, bats, coyotes and foxes. And cats are the most common domestic animal to get it. Luckily, the rabies vaccine is highly effective, but it’s still smart to exercise caution around wild animals and always monitor your pets outdoors. Yes, cats and dogs can transmit diseases to people. But that shouldn’t completely scare you away from cuddling up to them (though you still might want to avoid those kisses to the face, experts say). The American Veterinary Medical Association offers some simple tips to prevent a pet from making you sick. 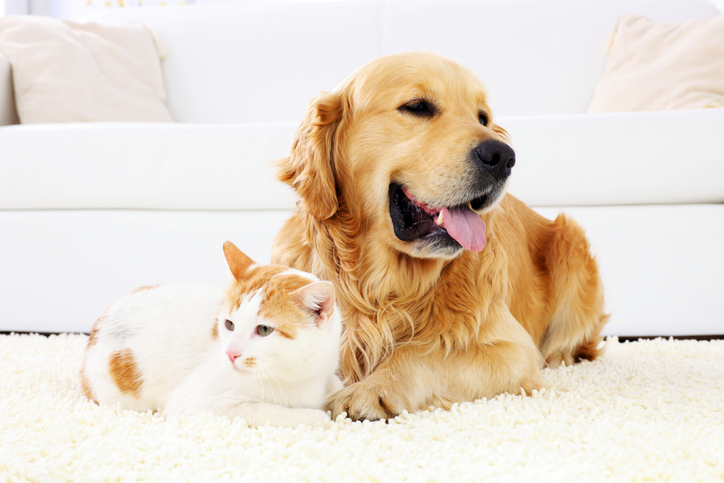 Keep your pet healthy, as a healthy pet is less likely to catch a disease in the first place. Likewise, stay healthy yourself, so your immune system can fight anything your pet might carry. Practice good sanitation when handling pet waste, and teach children the importance of this, as well. Don’t let pet waste sit. Pick up after your dog as soon as possible, and keep your cat’s litter box clean. Wash your hands after touching your pet or its belongings, especially before you eat anything. Avoid contact with strays or wildlife. Of course, take your pet to the veterinarian at the first sign of any illness, so they can continue to be your happy, healthy companion for years to come.